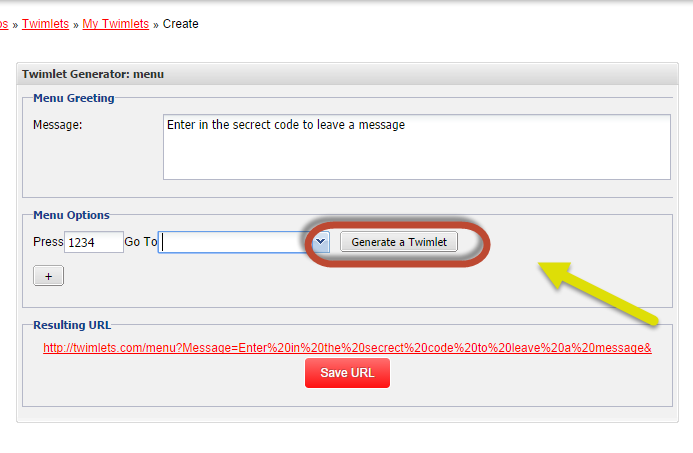 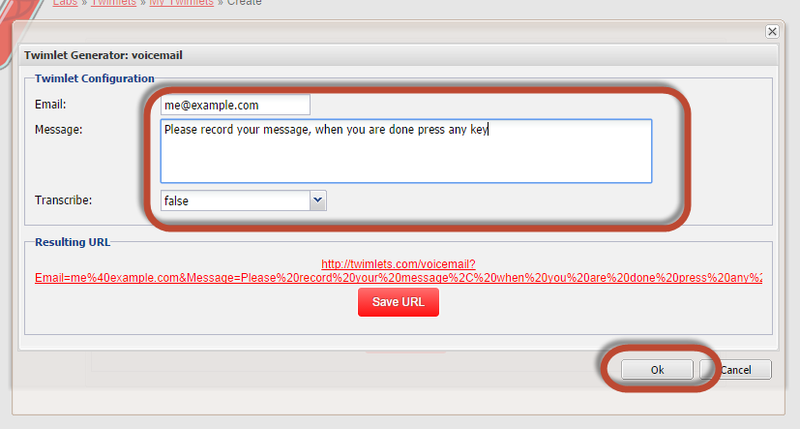 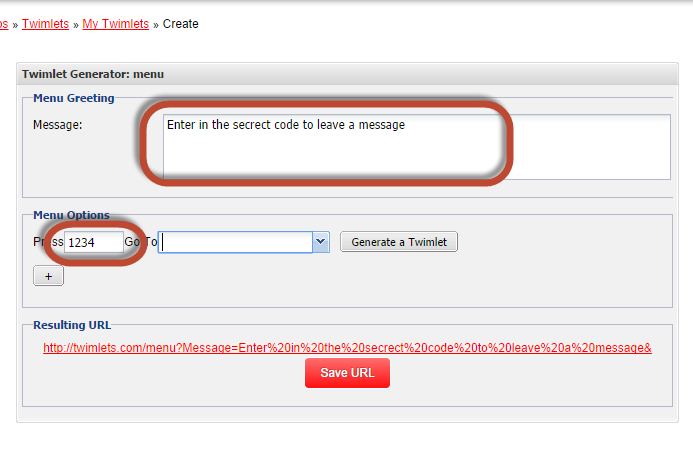 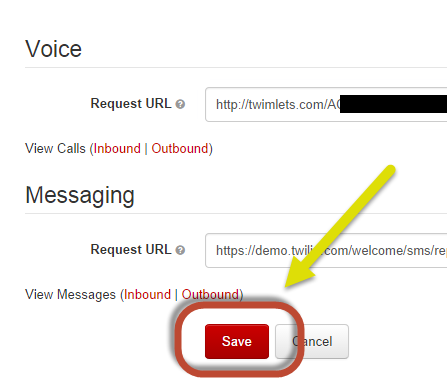 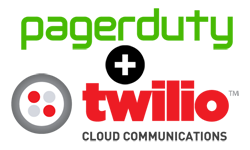 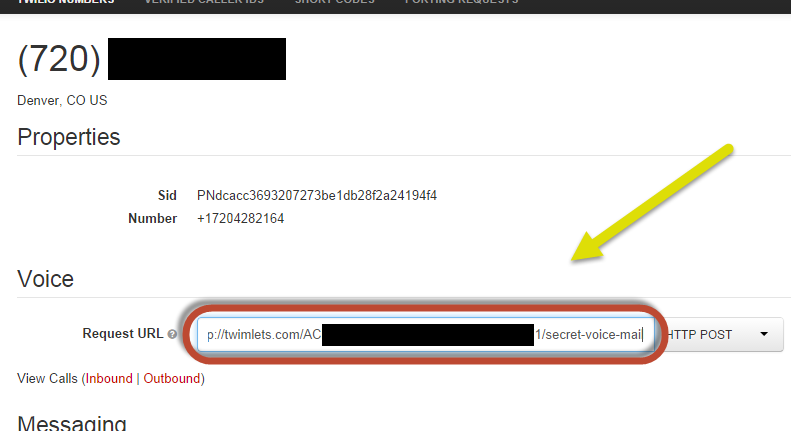 This guide will walk you through how to use Twilio's Twimlets to set up a password protected voice mail. 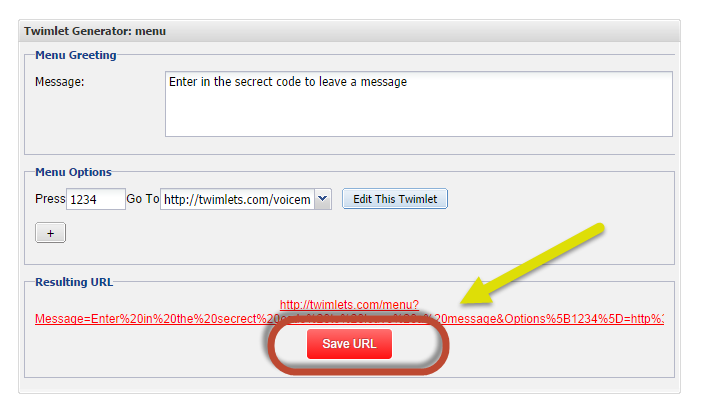 (only get record voicemails from people who have the pass code). 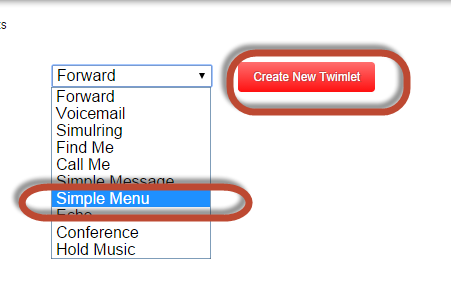 Select Simple Menu from the pull down and click Create New Twimlet. 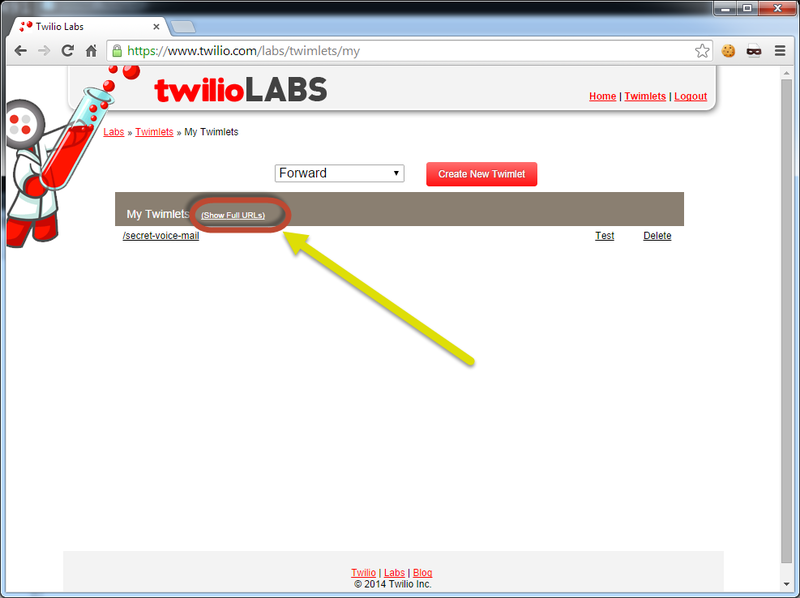 A Simple Menu Twimlet can activate other Twimlets. 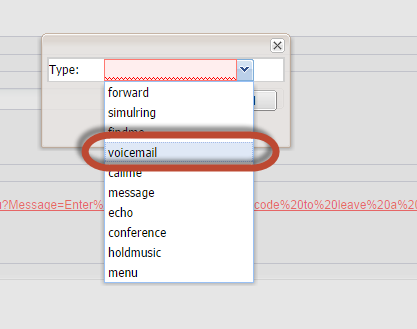 In this case I want to have it activate a voicemail Twimlet (if the correct code is entered). 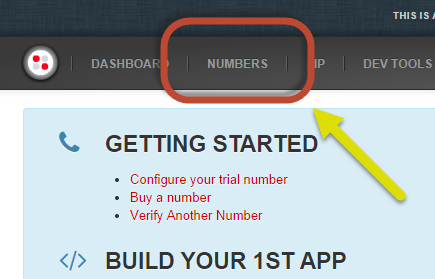 To add this do the following…. 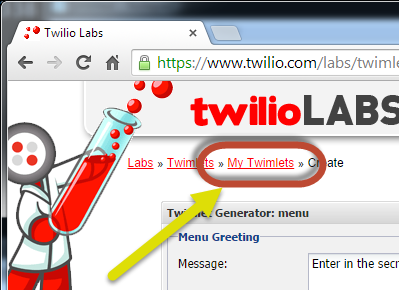 Enter in a name for this Twimlet. 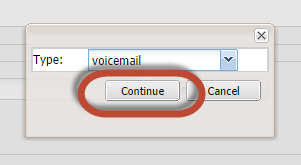 I named mine secret-voice-mail and click save. 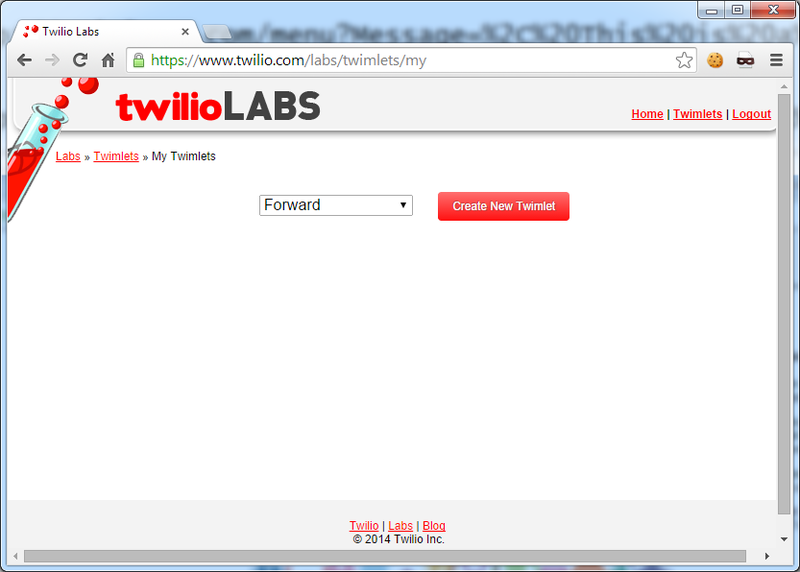 All your current Twimlets are displayed. 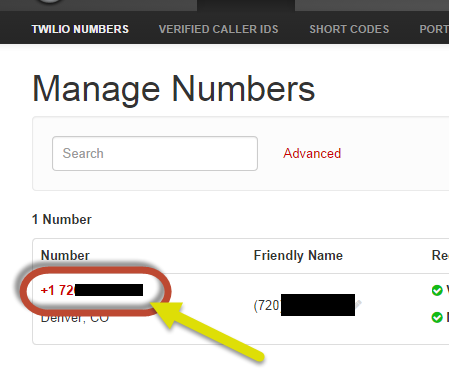 After logging in to Twilio click on the Numbers Tab.